Welcome to the first of hopefully many posts on a subject dear to my heart, the unsung heroes of the craft beer world; the core range. These are the beers that keep many of the breweries we love alive and allow them to create the seemingly endless array of new beers that hit bottle shop shelves every month. As craft beer lovers we can often be accused of having neophiliac tendencies. The constant search for new experiences and flavours, that I'm sure a number of you can relate to, at times comes between us and the wonderful beers that we know and love. This new segment on Beer O'Clock Australia will aim to showcase these beers that may otherwise slip by the wayside of seasoned craft beer drinkers' periphery. First up I thought I'd take a look at the core range from Hawkers; a brewery that launched with a clear vision to produce a well balanced core range, with less of a focus on limited releases. The result is four of the best selling, most consistent craft beers in Victoria. 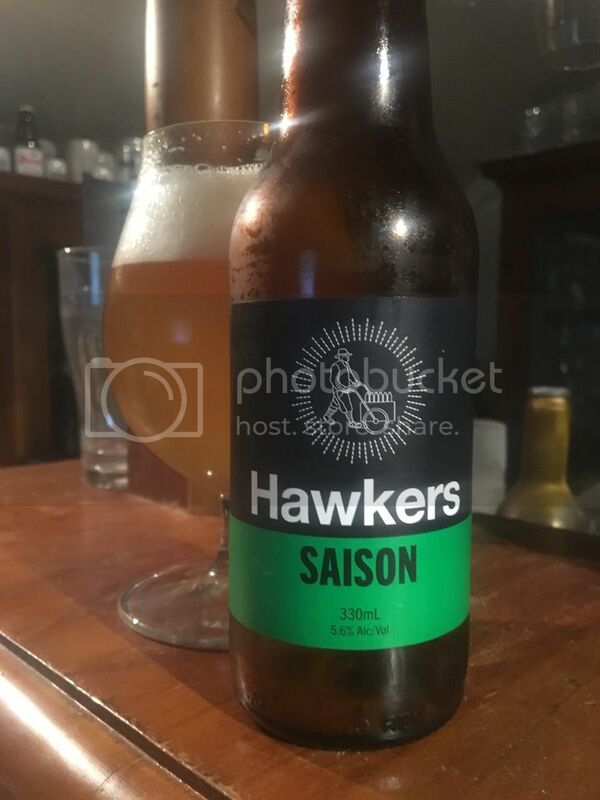 While Hawkers may have begun to take steps towards being that "hipster brewery" Mazen didn't believe they'd become with the recent release of their seasonal IIPA, following on from the success of their various Imperial Stout and Barleywine releases last year, the primary focus of the brewery is still on the core range. 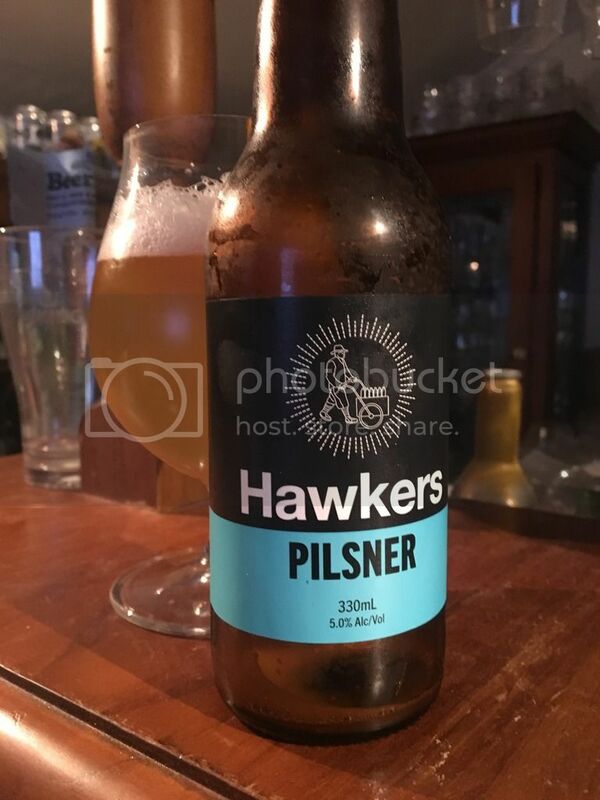 Without further ado; let's review the four beers that make up the Hawkers core range; Pilsner, Saison, Pale Ale & IPA. As many of you would know, I'm a big fan of a well constructed Pilsner. 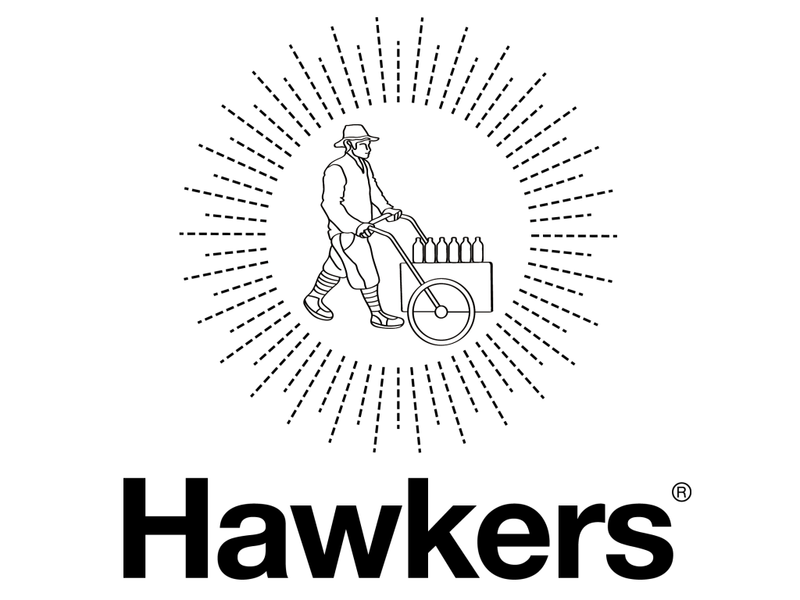 The Hawkers offering is just that; a classical take on a German Pilsner. It's brewed entirely with German noble hops and pilsner malt, something that translates to the flavour. It's a wonderfully aromatic Pilsner with plenty of floral & herbal characteristics melding with the spiciness and grassiness that you'd expect from the style. The malts are crisp, yet somehow provide an almost silky mouthfeel reminiscent of the honey that the flavour carries. It's quite bitter for a Pilsner, apparently clocking in at 50 IBU's, and is wonderfully refreshing. Saison is a style of beer that should be more popular than it is in Australia. I'm pleased to find the style popping up more and more now; particularly in the core range of one of Australia's larger craft beer producers. The Saison was released about two month after the rest of the core range. The Hawkers take is typically straight up and down the style guidelines. Lemon and orange peel are complimented by some light spice and funk, while there are plenty of fruit flavours and some sweetish malts. The beer finishes beautifully dry with just a hint of pepper and coriander. It's a lovely, easy drinking take on this classical Belgian style. 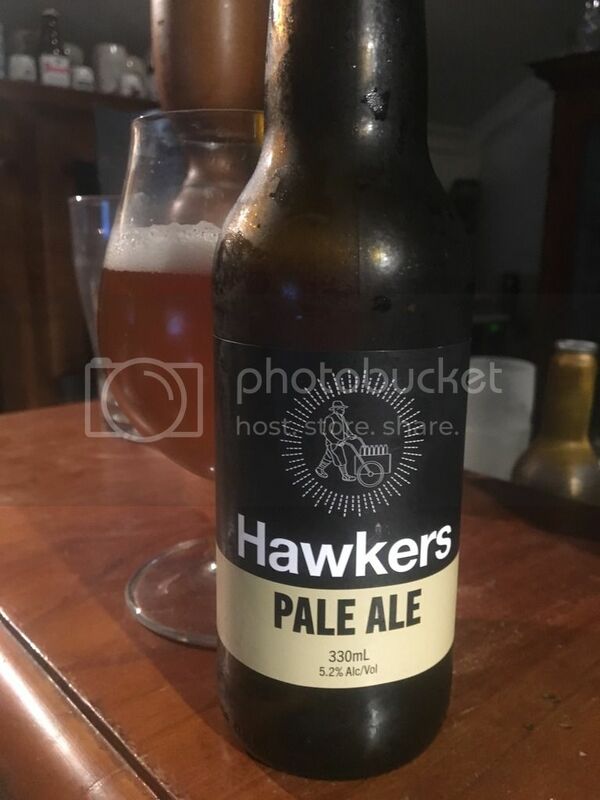 The Hawkers beer that I'm most familiar with is their Pale Ale. It's an American Pale Ale that I'm a massive fan of; we've had kegs at our Grand Final Day party the past two years! This beer has been hugely popular since it's release - taking out the People's Choice Best Beer at the Great Australian Beer Festival just two days after it was released! It's a wonderful Pale Ale, very much in the American mode, which packs a serious hop punch for the style. The hops give distinct orange and floral flavours, while tropical fruits are also present. There is a nice biscuity malt base that gives the beer a lovely full body. I was genuinely surprised to see this beer slide down the Hottest 100 rankings last year, although it does lend support to my initial hypothesis that craft beer lovers prefer new tastes rather than excellent well known examples. It seems like you're not a craft brewery any more if you don't have an IPA in your lineup. 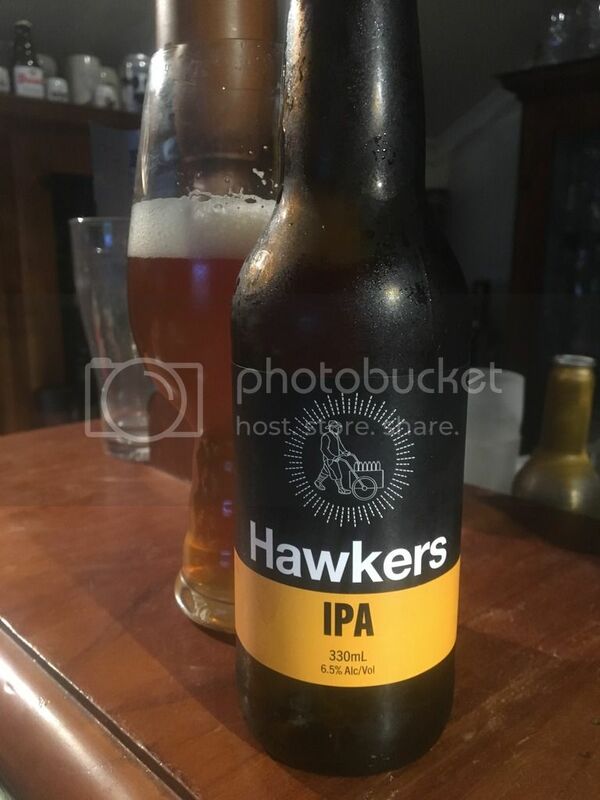 The Hawkers IPA is a very typical Australian interpretation on a American IPA. It's placed in the Hottest 100 in both years since it was first brewed and is a beer that I'm very familiar with! As I recalled this IPA is beautifully balanced and exhibits all the flavours you'd expect; ranging from citrus and pine to tropical fruits. There's plenty of bitterness up front with just enough caramel and biscuity malts to provide some balance to the beer. I think it's a wonderfully sessionable IPA, and is more complex than most of the other offerings on the market. All-in-all I think the Hawkers core range is very well curated. They've developed four quite different beers that are all lovely interpretations of the styles they purport to be. The one hole in this range for me is a maltier offering, with a Red Ale being the obvious candidate to fill this hole - both from a flavour point of view and a branding one (a red label would fit very nicely in among this lot!). 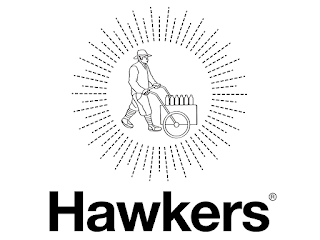 I had hoped to include a comment from Hawkers on their range, however they have not responded at time of publication - if they do get in touch I'll be sure to amend this post! Love the idea of reviewing core ranges! Good read. Rogers by Little Creatures would have to be my top pick for a core beer. Can't go wrong with a 4 Pines pale either.